It is important to be the early bird in gardening, but if you are the too early bird you'll be out hunting before the worms are even up... What I mean is, if you begin working your soil before it is ready you'll do more damage than good. 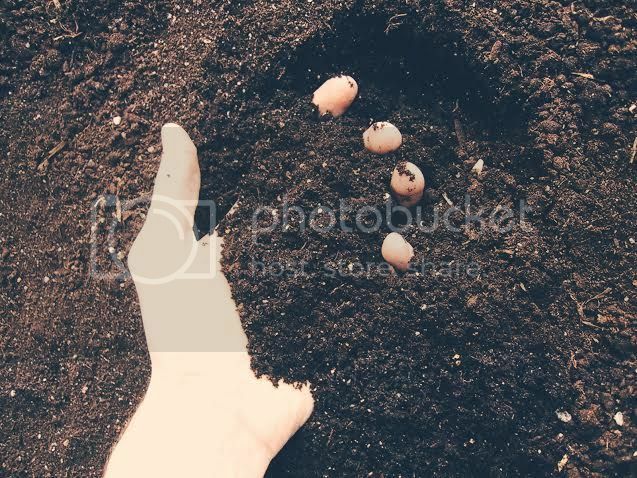 Heavy, wet soil doesn't break up into the light and airy texture best for breathing plants... plus, all those large clods you'll create by digging when the soil is too wet will end up drying into awful rock-like clumps that become nightmares to break up when your soil really is ready. So take your time, and be thankful for the outdoor space awaiting your perfect little city garden!! This is part one of a series on planting and growing herbs in NYC! Check back for the next installment on how to find or create the perfect in home or windowsill herb garden! !